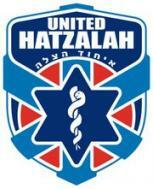 On the occasion of my Bar Mitzvah, I have decided to help raise awareness and funds for United Hatzalah of Israel. If you would like to join me in this effort, please make your tax deductible donation online. Thanks so much for partnering with me to help save lives in Israel!